Elon Musk has been under fire lately as many have questioned the overall health of Tesla, which has been recently scrutinised over its finances, workplace conditions, and treatment of employees. It’s been a rough week for Musk and Tesla, so it’s easy to see why Musk would welcome a news cycle that wasn’t centered around Tesla. 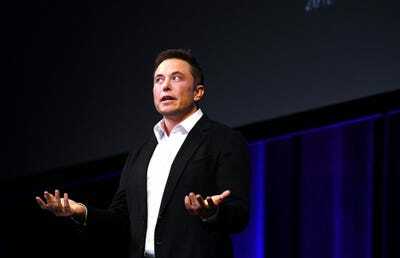 Elon Musk’s Boring Company, founded in late 2016, has only sold merchandise so far. But this week, it announced plans to build a 3-mile tunnel that could transport people in Los Angeles to Dodgers Stadium in just four minutes. The Boring Company says its new tunnel to Dodger Stadium will be the first public operational version of its transportation system, which can carry 8 to 16 people on “electric skates” that can travel anywhere between 125 and 150 miles per hour. You can learn more about The Boring Company’s “Dugout Loop” on its website. The Boring Company currently lists four projects in the works, including the Dugout Loop, a test tunnel in Hawthorne, California, the “Chicago Express Loop” that connects O’Hare Airport with downtown Chicago, and a proposed loop to connect Washington D.C. and Maryland. Tesla and Musk have denied Banks’ claims, calling them “utter nonsense.” But Musk’s tweet about securing funding has attracted the attention of the Securities and Exchange Commission, which has reportedly sent subpoenas to Tesla this week about the company’s plans to go private. According to The Wall Street Journal, the SEC wants to know whether Musk’s tweets about taking Tesla private were truthful. On Wednesday night, Tesla whistleblower Martin Tripp shared images and photos that allegedly came from inside the company. The images claimed to show vehicle identification numbers of Tesla cars that contained allegedly damaged batteries, and trailers full of battery waste that were being stored improperly. Tesla says Tripp’s claims and photos are categorically false, but between the SEC probe and the whistleblower’s claims that Tesla was handling waste and safety protocols improperly, it’s easy to see why Musk would welcome a news cycle that wasn’t centered around Tesla. The headlines surrounding Musk and Tesla have been more negative than positive lately, as investors, shareholders, and others have looked for answers to the numerous questions that have come up. Clearly, people have a lot of questions about Musk’s plans for Tesla. But there’s a good chance that’s why we’re hearing about The Boring Company right now: It’s a newer company built on an exciting and futuristic premise, with not nearly as much baggage accumulated compared to Tesla.